I own a Nintendo Switch for about a year now, and I am still trying to make up my mind about it. On the one hand, it is compact, has some really good first party games as well as a vibrant indie game market. On the other hand, the lack of third-party triple A games remains a sensitive nerve. There is a lot about the Nintendo switch that reminds me about the GameCube. Yet that console had Metroid Prime, Star Wars Rouge Squadron 2 and Beyond Good and Evil just to name a few. The Nintendo Switch is in that regard an odd duck. Sadly Electronic Arts has botched their Star Wars license so the drought is effecting every console and PC alike. But we are also not getting Red Dead Redemption 2, Spider-Man or Shadow of the Tomb Raider. Instead we get ports from games that are at least several years old. I already did a review on The Elder Scrolls 5: Skyrim, but today I am reviewing Diablo 3. 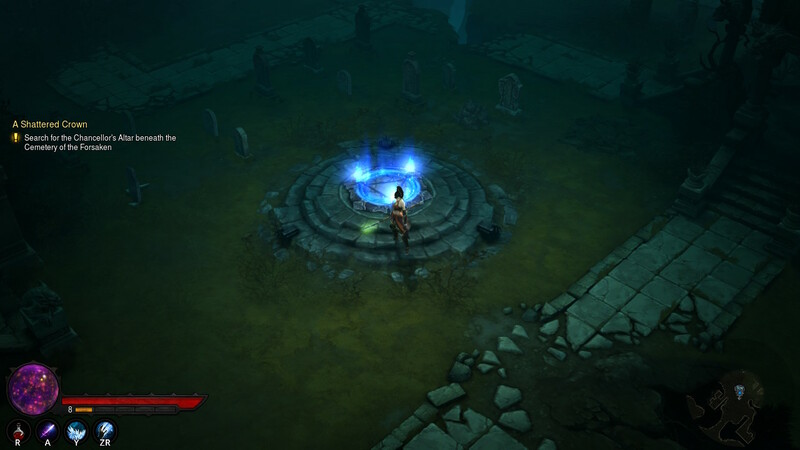 The game was originally released in 2012, but for the Nintendo Switch the expansion Reaper of Souls and Rise of the Necromancer are included. Exclusively for the Switch are Ganondorf’s armor and several Zelda collectibles. In essence Switch players are getting the ultimate version of Diablo 3. So what is the game all about. 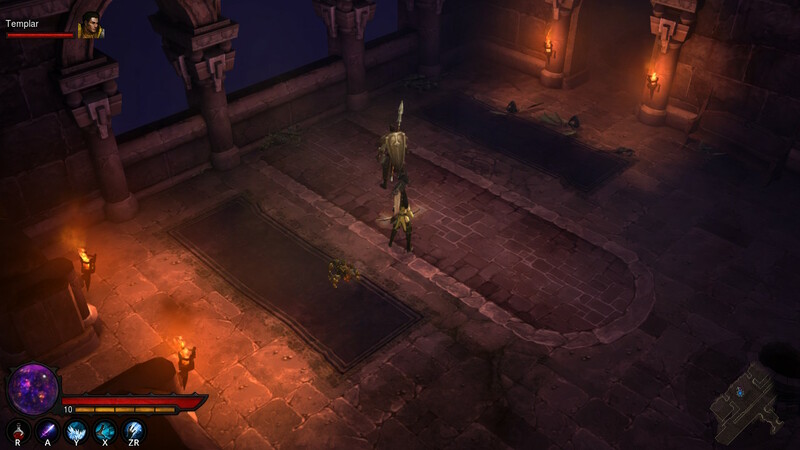 Diablo 3 is a RPG with an old-school flair. The studio behind World of Warcraft and Overwatch is a master at gameplay and Diablo 3 is no exception. The top-down isometric view looks odd, but it does aid in very fast paced action. Diablo 3 is a breeze to play. The game is not a hack-and-wait-to-be-hacked kind of game. The characters don’t endlessly cast spells into each other until the one with the lowest health dies. Instead, you as the player use your A-button and you right should button to cast devastating blows on you attackers sending dozens of them to their doom. Diablo 3 is an offensive game, you clear the dungeons of demons. While playing through all 5 acts of the game I did not die once. To be true, that was in ‘normal’-mode, and the game has plenty of difficulty settings. 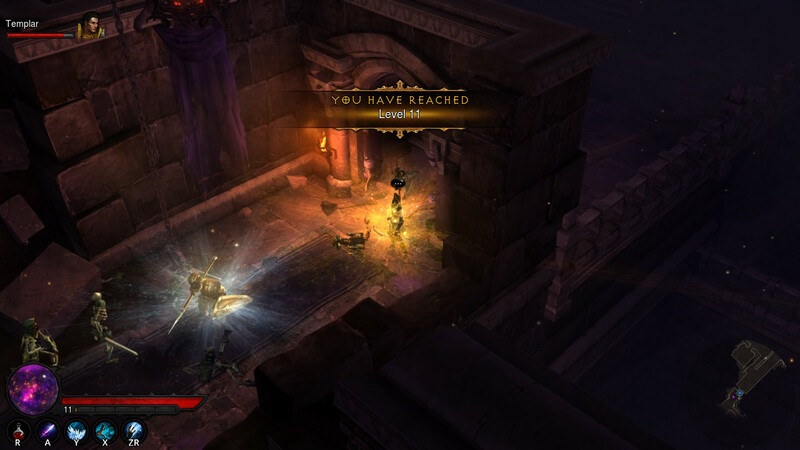 Diablo 3 is a highly addictive game. I don’t think I spent this much time with the console in just over a week. Now Diablo 3 is not without flaws. At times the destruction of zombies and other nefarious creatures did become repetitive. Also I could not always follow the plot as well as I hoped. The fast pace of objectives and dialogue made that a bit harder. 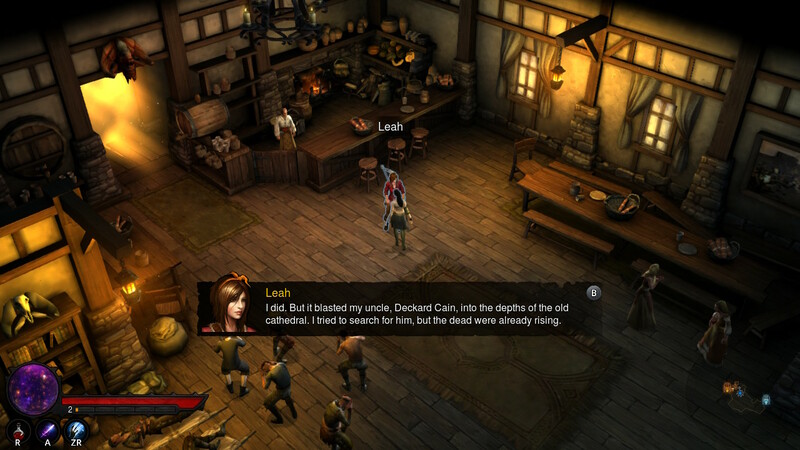 The varied options such as customization of outfits, spells, weapons and your followers felt overwhelming. All too often if a stat for a weapon had green bars I used it to replace my current weapon. As mentioned the game has a top-down view. But you already knew that from prior exposure to the game. I must say for a 6 year old game the graphics are impressive. The developers, Blizzard Entertainment, have not spared any special effects. The top-down view allows for gorgeous scenes of villages, dungeons and cemeteries. The environments are nicely drawn and give the game a very distinct visual style. One that feels right for the time of the year. 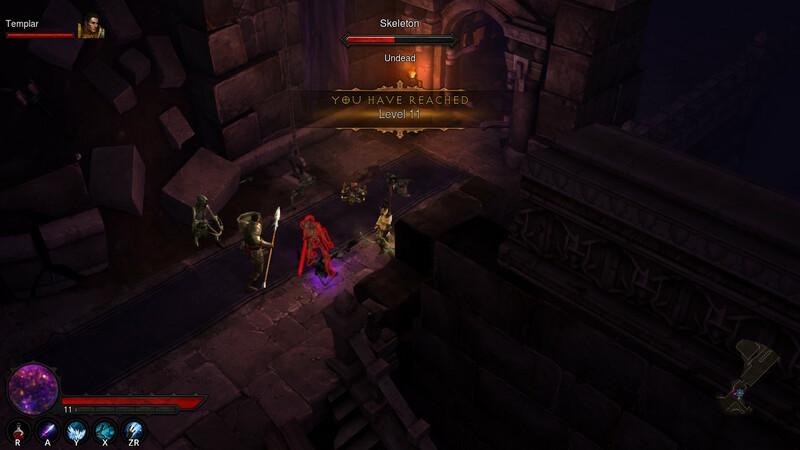 I feel odd to think that two RPGs: Skyrim and Diablo 3 have taken such different approaches. 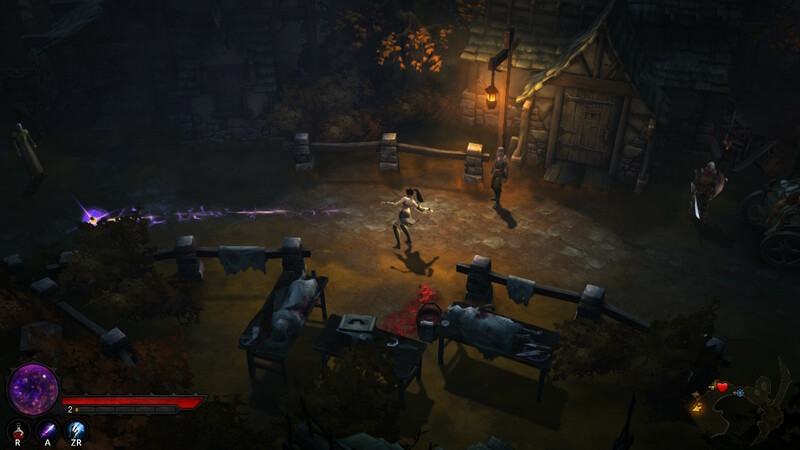 Diablo 3 is a game that by design was meant to be played several time over. I am not certain of I can adequately judge if that will happen. But I am happy I got the game and that I own a copy so I can do some hacking and spelling whenever I want. I like the Nintendo Switch, but I also know it could be so much more. People will argue that if I think there aren’t enough games on the console you should get one of the others, probably a PS4. I don’t want one, I like Nintendo’s off-beat franchises. Super Mario Odyssey and Zelda Breath of the Wild were the best games money could buy in 2017. But Nintendo’s release schedule can be erratic. For the future I know what I want: Metroid Prime 4, Firewatch (to be released soon if the rumors are true) and a Star Wars game. To fulfill the latter I can only hope that the console being the fastest selling ever will get someone’s attention. The unreleased but finished game Rogue Squadron: Rogue Leaders might yet see a Switch release. Episode 9 is also not far around the corner. Also I am willing to give Yoshi a go.